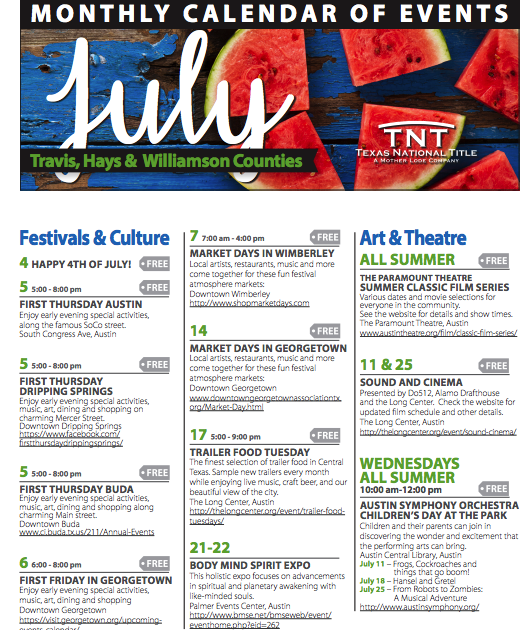 Austin Events and Activities this July! Have a BLAST this summer with the coolest spots to hang out in Austin, Texas! From Art and Theatre, Sports events, concerts, and shopping, you will never be bored this July. 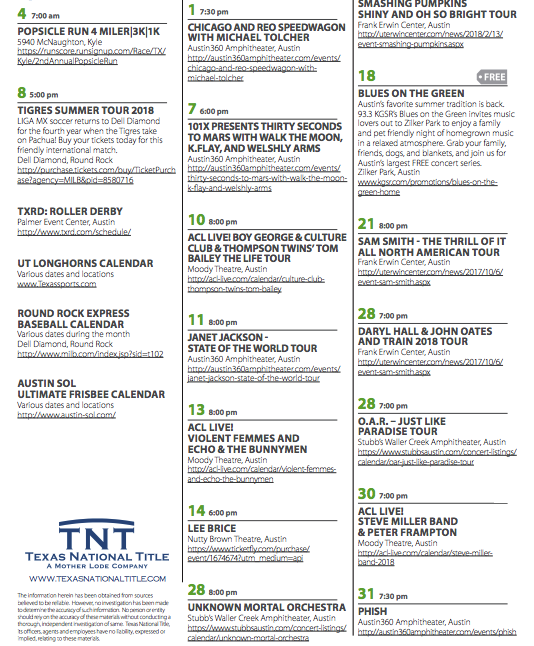 Check out the monthly Calendar of Events from our trusted title company, Texas National Title!